The Greens (WA) seek to save and preserve life however, we do not believe in forcing people to endure under conditions of suffering at the end-point of their life. When people have a terminal illness, and are suffering to such an extent that they no longer wish to have their lives prolonged, they should be able to access a peaceful death under the supervision of consenting medical practitioners, and with their families in attendance. This is about dignity and essentially, compassion. 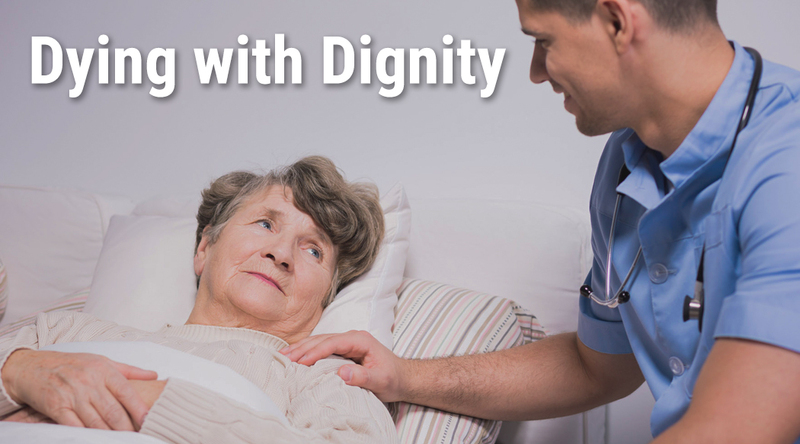 People diagnosed with a terminal illness should be able to die with dignity. Adults should be able to make informed choices regarding their own care and treatment for terminal illness. Hospitals and doctors should be able - without compunction - to support people in their choice of treatments. The Greens (WA) are committed to legislation that facilitates end-of-life choices. There is significant and growing public support for physician-assisted dying, and it is hoped that WA law can be changed to mirror this opinion; providing choice and facilitating autonomy for those with a terminal illness, which cannot be alleviated by medical intervention. Voluntary Assisted Dying is about compassion and choice and we are hopeful that we will see compassion prevail, and that the wishes and independence of those effected individuals are respected. For Greens MP Robin Chapple, this effort is spurred by personal experience; having witnessed firsthand the extraordinary pain experienced by his mother before her passing. Robin Chapple notes that, in addition to his own personal interest in the topic, this issue affects most Australians in some way or another – and will continue to do so. From the difficult passing of his mother, Robin has endeavoured to provide and safeguard people’s right to a dignified, autonomous, and peaceful death. Greens MP Robin Chapple first attempted to introduce assisted-dying legislation in 2002, and again in 2010, although both attempts were unsuccessful. However, with the ongoing and rigorous cumulative efforts of the Greens and MP Robin Chapple, two decades later, WA is now closer than ever to achieving this long-awaited reform. In 2018 the WA Parliament established a Joint Select Committee on End-of-Life choices which provided over 800 submissions and 80 personal hearings. As a long-term proponent of Dying with Dignity, Robin Chapple was invited to work on the committee and participated in the hearings and the submission of the final report ‘My life, My Choice’. This report was subsequently presented to Parliament by committee members after personally hearing a wide range of opinions from many sectors within the community. The report is the culmination of decades of work by The Greens (WA), and by the wider Australian community, to provide people who are suffering at the end of their lives with a compassionate and dignified option, allowing them to reclaim independence and preserving self-determination. The Greens (WA) welcomed the findings and support the recommendations handed down by the WA Parliament’s End-of-Life Choices Committee. The Greens (WA) are committed to allowing people choice at the end of their life, which we believe is the compassionate way forward, and support the government’s subsequent decision to legalise voluntary assisted dying in WA based on these recommendations. The person with the terminal illness must, at the time of application and at all later stages in the process, be currently experiencing pain or suffering associated with that terminal illness. Ensure that, when acting in compliance with the legislation, the applicant and any person who deals with- or gives effect to- a request does not incur any criminal or civil liability and is not liable to any disciplinary proceeding.